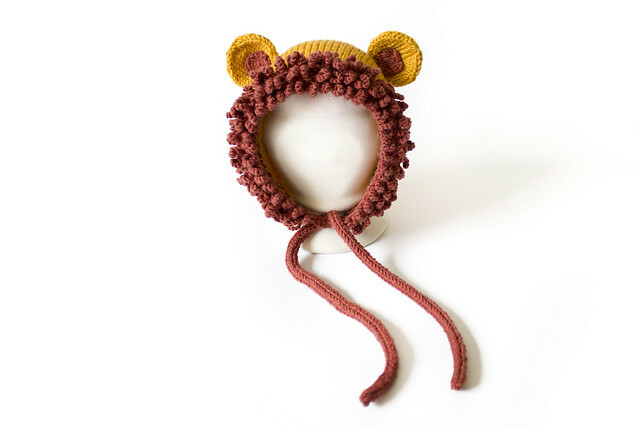 The Tiny Roar Lion Bonnet pattern is now, finally, live! Nearly four weeks after our own little cub arrived in the world I have finally found the energy to publish this design, and here it is being modelled when Darwin was but four days old. He’s come on leaps and bounds since these first pictures were taken (you can see a whole load more of cute shots on the pattern page) and I’ll hopefully get a few more modelled shots of him in the bonnet in the next few days. Knit from soft, smooth merino the resulting bonnet is warm but not irritating to the skin and will be a roaring success for any young recipient. 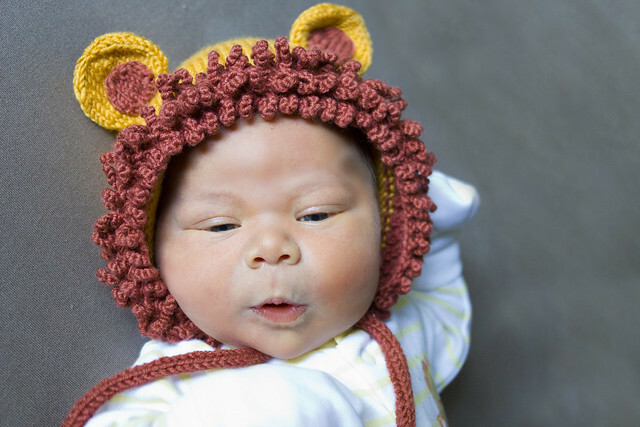 I designed this bonnet using a fantastically secure, sturdy and soft variation of the loop stitch, the edging (mane) of this bonnet is surprisingly soft and does not suffer from the loose texture of normal loop stitch, meaning that it is not so prone to unravelling by a baby’s explorative fingers. 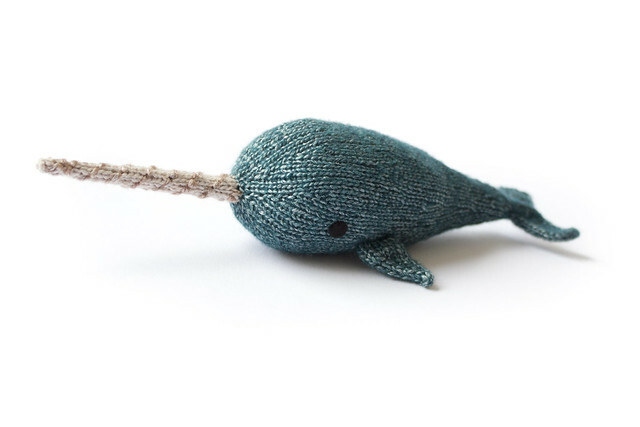 Thank you so much to all of the wonderful test knitters that helped to make designing this pattern such a pleasure when I was in the lead up to giving birth to the fabulous little model! Look at that little face! He looks like his mama, for sure! 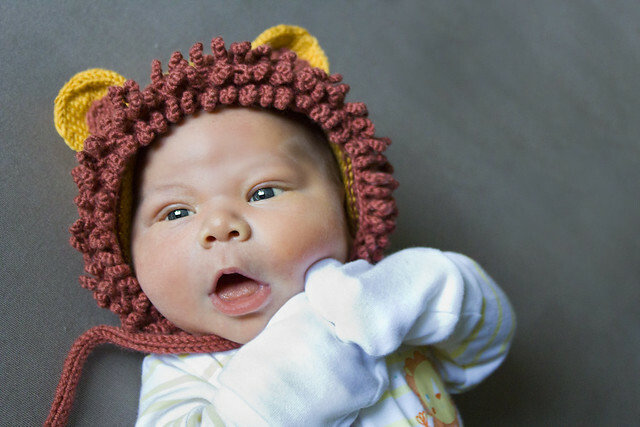 And the hat is, of course, adorable (but the model just makes it!). Oh! 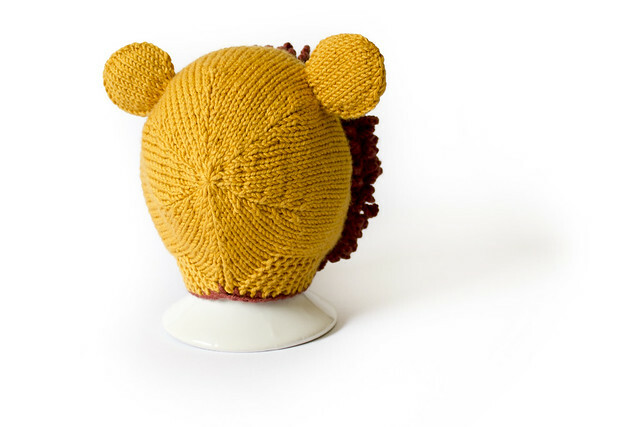 I wish I had my own little cub to knit that for! !